It must be an olfactory thing. Gu Shengnan and Lu Jin can’t stand each other unless she is cooking for him. She is a sous-chef and he is a hotel tycoon, so they both know food. They just don’t know they’re in love yet, but her dog Boss, an adorable English Bull Terrier, knows it just as well as we do. Somehow all that cooking pays off in Derek Hui’s This is not What I Expected (trailer here), which plays July 11 at the New York Asian Film Festival. Lu Jin has checked into room 1123 of his latest Shanghai acquisition—and if the kitchen staff does not impress him with something before he checks out at noon, the entire hotel is in trouble. Bafflingly, Gu’s boss (and the ex who just dumped her) waits till the very last minute to ask her to take a shot, but her flair for flavor and aroma saves the day. Soon she is constantly creating dishes to meet room 1123’s challenges. Much to her embarrassment, Gu realizes Lu Jin is the same rich jerk she previously met under rather disadvantageous circumstances, so she will go to great lengths to avoid a face-to-face meeting. Yet, fate keeps conspiring to bring them together. After years of eating alone, is Lu Jin finally really for ramen for two? If you doubt it, go ask Boss. Frankly, TINWIE might be the most misnamed film of the year. It is pretty much exactly what we expected, but Hui sure knows how to stage some culinary indulgences. In fact, the cooking scenes are executed with such colorful visual panache, they pull us through the predictable storyline. Plus, Boss certainly holds up his end as well. 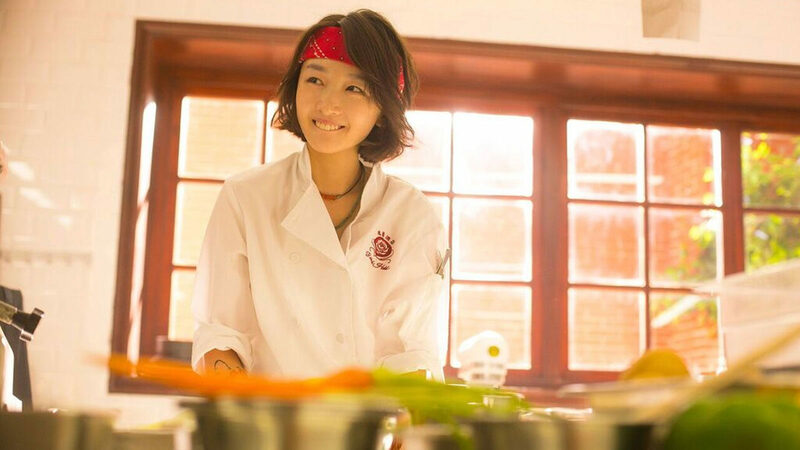 The food and the dog up-stage everyone (basically, W.C. Fields was right, he just didn’t take it far enough), but Zhou Dongyu (still red hot popular in China for the local smash SoulMates) is ridiculously cute (and only slightly cloying) as the plucky, brow-furrowing Gu. On the other hand, Takeshi Kaneshiro’s Lu Jin is such a cold jerkheel, it is hard to believe he never gets a Wüsthof through the heart from someone on the exhausted kitchen staff. 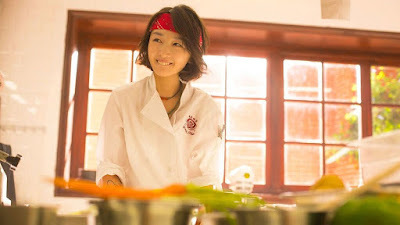 However, Lin Chi-ling adds some heat as Gu’s third act culinary adversary and perhaps romantic rival as well—in fact, the film suggests they are basically one and the same.